The legendary magical mystery tour is back by popular demand. Why, there would be rioting in the streets if The Wine Arts Trail wasn't included in the festival programme!! Let the big red bus take you on a veritably vinous voyage of discovery to those secret bits of our beloved city that you never knew existed. At every stop a hilarious happening, an artistic intervention or a daft divertissement. And at every stop, a glass of fine wine. 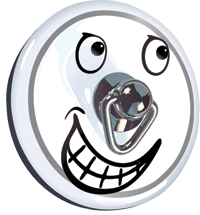 The fabulously bonkers outing is a perennial favourite amongst comedy aficionados. As usual, this year boasts a brand new top secret route, plonk aplenty and a laugh around every corner. 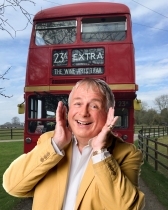 Hosted by Ralph Oswick, this year's celebrity guest clippie is none other than national treasure, erstwhile star of Porridge and Britain's favourite pantomime dame Christopher Biggins. Dress code: Your beautiful bonnets, hilarious hats and terrific titfers could garner you an unforgettable mystery prize. N.B.Anyone without a hat will be thrown off the bus forthwith! "Was that real?"... "Did that happen?"... "Are we nearly there Dad?" Now in its 12th incarnation, The Wine Arts Trail is a comedy institution and tickets sell very quickly, so don't delay, book today. Grown ups only. Drink sensibly.